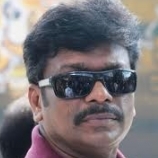 Trendsetting Kathai, Thiraikathai, Vasanam, Iyakkam..
R. Parthiban who is at present working with Karu Palaniappan in a film titled Jannal Oram is reportedly ready to take up film-making responsibilities once again after his last effort Vithagan. The actor who made a spectacular debut with Puthiya Padhai as an actor-director will be doing the same in a film that is curiously titled ‘Kathai, Thiraikathai,Vasanam, Iyakkam’. The actor who is known for his wordplay and wit has coined the title in the same vein. Parthiban was popular in the 90s for his ability to understand the sensibilities of the youth and deliver films along those lines. It will be interesting to see where he will fit himself in this day and age. Neetu Chandra joins the fun ! Can 3Ds Put An End To Piracy?